This is a very simple and efficient frog design. 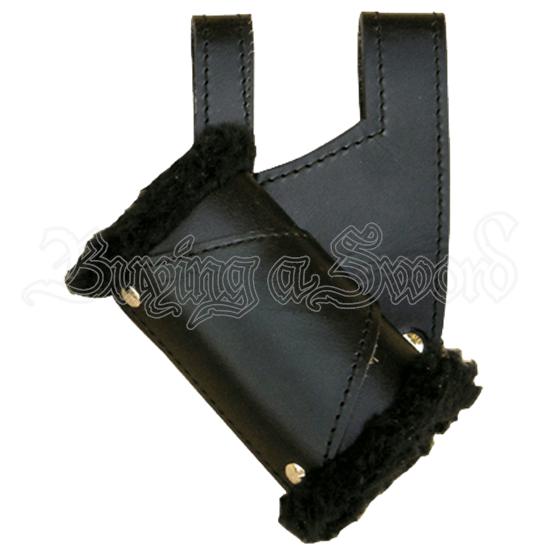 Holds your LARP sword right at your waist, giving you the option of a left or right hand draw. Fits a variety of belt sizes. This is intended for LARP weapons only, since the opening is larger than a normal sword frog to accommodate the larger, rounder blades. This frog also features faux fur trim along the top and bottom openings.